Based in the stunning spa town of Cheltenham, La De Da was founded by sisters Rita & Dominique. 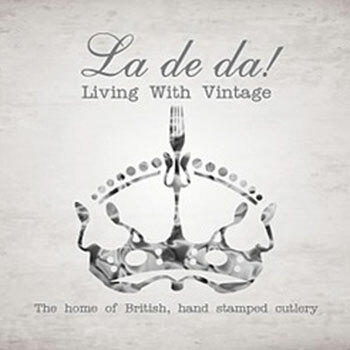 They source vintage pieces of silver plated cutlery from all over the UK and lovingly hand stamp them, thus creating a 'one of a kind' keepsake. La De Da has won several awards and is distributed worldwide.